Hundreds of Spanish train services have been canceled, resulting in traffic jams on roads into Madrid and Barcelona, as rail and subway workers staged strikes to protest wage cuts and reforms. The strikes also caused morning traffic jams into Madrid and Barcelona. Photo by John Y. Can. State rail company RENFE said Monday it had canceled some 300 high-speed and intercity trains. It said minimum services agreed with labor unions meant that more than 50 percent of trains would run throughout the day. Workers called the strike to protest a restructuring of the transport sector next year they claim will cost jobs. 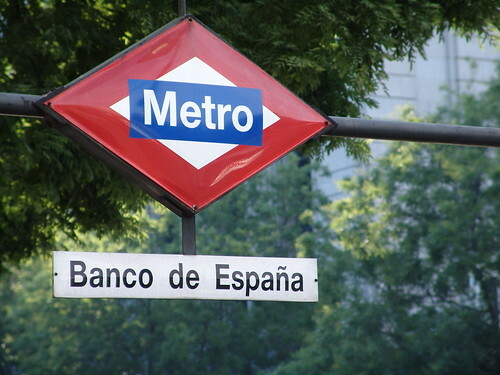 Subway workers in Madrid and Barcelona also staged rush-hour stoppages to protest wage cuts. Spain is in its second recession in three-years with near 25 percent unemployment. The government is battling to avoid having to seek a full bailout of its finances.